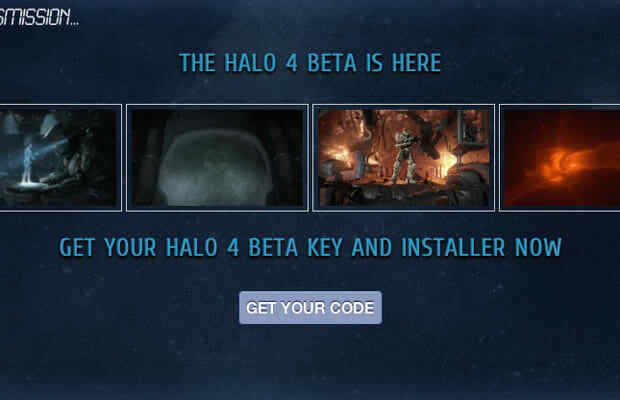 If you see a link on Facebook, Twitter or Google Plus (ha) for a site that allows you to sign up for the Halo 4 beta, you should probably not click on it. We know it&apos;s tempting, but it&apos;s definitely fake. Don&apos;t you think you would have heard something before now if there was a beta for Halo 4? 343 Industries&apos; David Ellis confirms vita Twitter, "If you see a page claiming to allow you to sign up for a Halo 4 beta be advised, IT&apos;S A FAKE." If and when the real beta rolls around, it&apos;ll probably be more difficult to get into than simply Liking a page on Facebook. Good try, though. Did you fall for it? Any adverse consquences yet (spam emails, computer blowing up, assassination attempt, etc.?) Let us know in the comments or on Twitter.